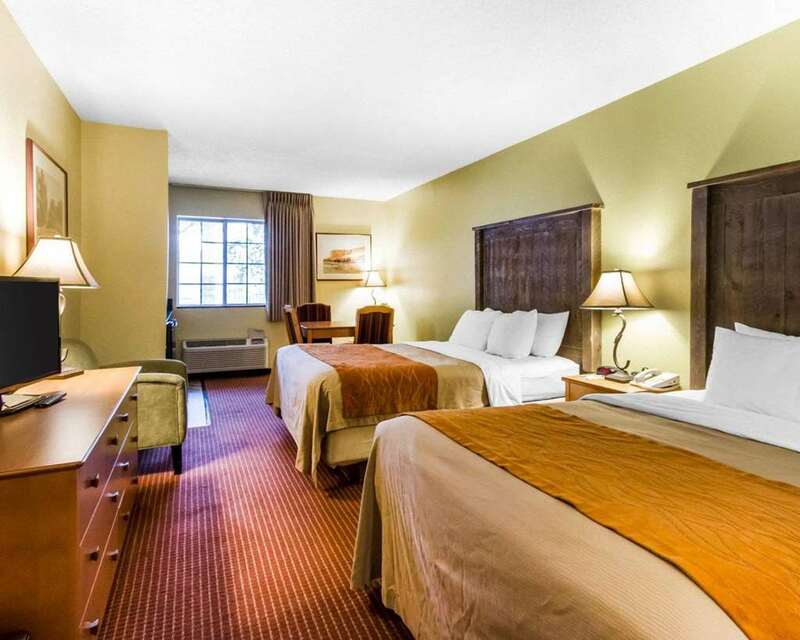 The Comfort Inn I-17 and I-40 hotel in Flagstaff, AZ will get you rested and ready for anything. Nearby attractions include The Arizona Snowbowl, Route 66, Lowell Observatory, Walnut Canyon National Monument and Wupatki National Monument. Enjoy amenities like free hot breakfast, free WiFi, free coffee and fresh-baked cookies, seasonal outdoor pool and outdoor heated a hot tubs. Rooms come equipped with a flat-screen TV, refrigerator, microwave, coffee maker, hair dryer, iron and ironing board. Also, earn rewards including free nights and gift cards with our Choice Privileges Rewards program.